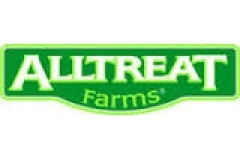 All Treat Farms Limited., before it was even called All Treat, came up with an idea. It was simple. Dehydrate manure and put it in a bag. Then convince someone to buy it. But that’s how it was back in 1955 when LaVerne and Freda White used a dehydrator, they had purchased to produce feed from alfalfa, on manure. This lateral move, one of many, really typifies the All Treat story of entrepreneurship. The White’s were farmers from Arthur, Ontario. As George White, All Treat’s President puts it “Farming was a seven days a week job and my parents wanted to move away from that”. In the intervening years All Treat got into the bark chip markets. Back then all of this was imported in from the United States. However, the forestry industry in Ontario was burying or burning its bark. “In the early 1980s we worked with what was then called the Ontario Development Corporation to purchase equipment and find sources of bark. We started to produce bark chips. At the same time we were looking for a replacement for peat moss”. The bark fines, a byproduct of producing bark chips, it was found, could be suitable replacement for peat moss, if used in the correct way. “This is where we had to learn how to compost and where we developed our composting expertise.” says White. “Bark fines could make a great growing media but if they were not composted properly they would kill plants.” Ultimately this work solved two problems: A viable replacement for peat moss was created and a waste management issue was addressed. While initial efforts focused on dealing with agricultural wastes and then forestry wastes, the 1990s saw All Treat branch into dealing with residential wastes. The markets and populations where All Treat had been selling their products had grown and they were generating wastes. In the same way as burying forestry waste became less acceptable questions were being asked about what we were throwing in our landfills. At the same time it was also becoming less acceptable to mine wetlands- which was a common practice. As White puts it “The writing was on the wall. We needed a replacement product that we could put into the bag.” Using their previous composting experience they were able to set up and permit a compost facility to accept municipal leaf and yard wastes for composting. This evolution continues into the 2000s. In 1955 the population of Toronto was about 1.3 million. Today the Greater Toronto Area has a population of greater than 5 million. This market continues to purchase compost products for their gardens but have themselves become a significant source of organic waste. In addition to leaf and yard waste collection most of the GTA now has access to green bin programs to divert food and other organic wastes. All Treat invested in a GORETM composting system to manage up to 80,000 tonnes/year of these municipal wastes, including the leaf and yard wastes but also green bin wastes and IC&I wastes. 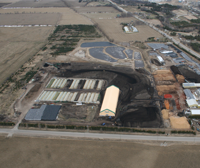 All Treat Farms has shown over and over—a waste product can be used to create a marketable product. From stone to turf we have all of your outdoor lawn and landscaping needs for commercial, farm or home. Add life and color to your property with fine soil products and mulches from All Treat Farms.